A game for 1 -2 players. 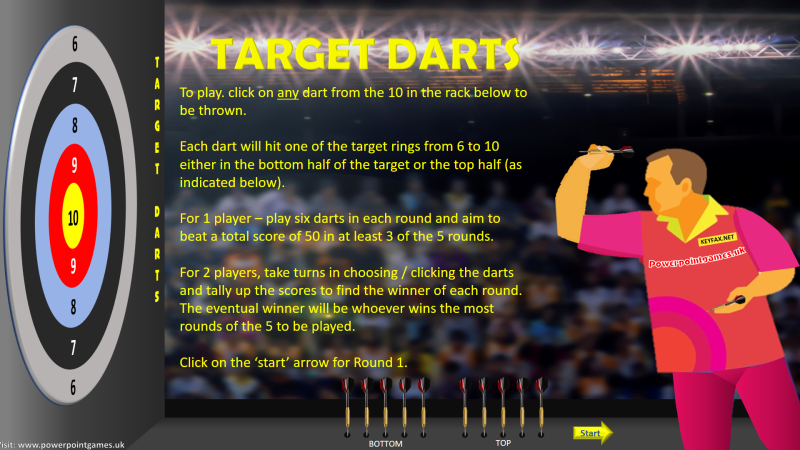 Step up to the oche and pick a dart to throw at the target board. 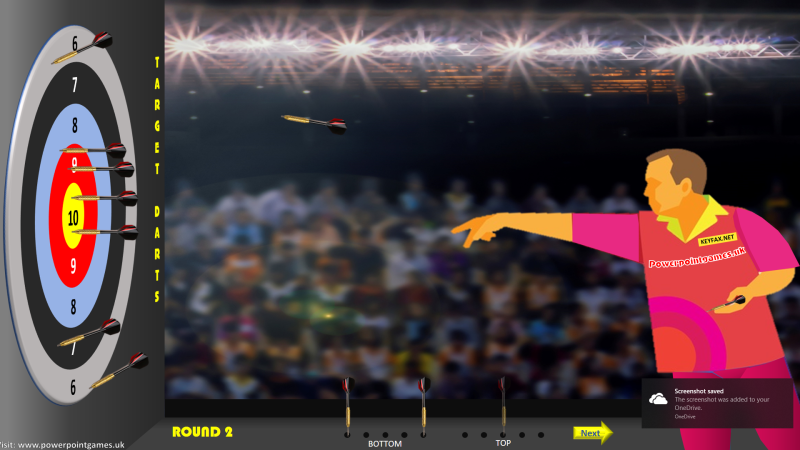 You play five rounds of darts and you can employ some tactics when choosing which dart to throw as you can get some idea of where some darts might land. The video shows two rounds being played.